DURBIN, N.D. (AP) - A new height rule has left a North Dakota dog's bid for a world record coming up short. 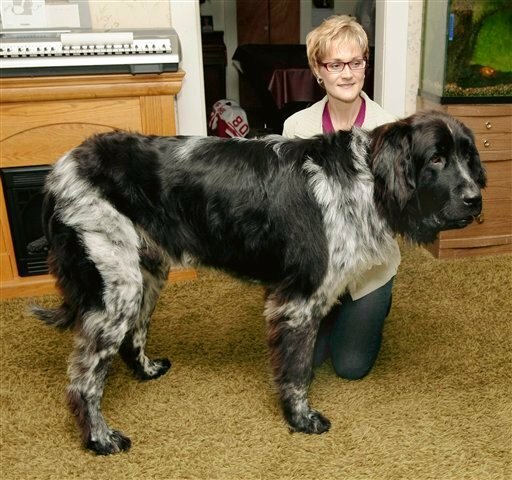 Caryn Weber, who lives on a farm near Durbin, west of Fargo, submitted information about Boomer, her 3-foot-tall Newfoundland, to Guinness World Records for consideration as the world's tallest living dog. Now she says that after spending $650 to put the application on a fast track, Guinnesss has told her the dog must be at least 40 inches tall to qualify. That would leave Boomer about 4 inches short. Weber said the guidelines Guinness mailed to her in early October mentioned no minimum height. Guinness said in an e-mail to Weber that the guidelines are updated as required, without notifying her. Guinness also told Weber it had evidence of a dog taller than Boomer. Weber thinks Boomer should get to hold the record at least until a taller dog is verified. 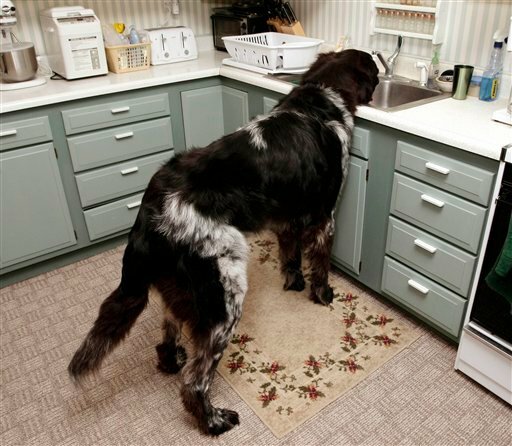 Boomer may be a buster: Measuring 3 feet tall at the shoulders and 7 feet long from nose to destructive wagging tail, his owner thinks he might be the world's tallest living dog.